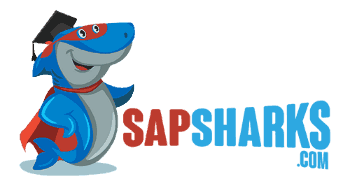 » What is SAP? what does an ERP software do? SAP is the number one ERP software that most fortune 500 companies use to run their business. You might ask what is ERP then? And then you hear the answer It means Enterprise resource planning which makes you even more confused. Let’s take a look at a very simple example and see how many things need to happen at the time of a sale and how many teams and modules are involved. You are the CEO of apple and you are running the business. A customer buys an iPhone from apple.com. The following things need to happen with this sale. The bank balance needs to go up right? We will just assume he paid with cash to make this really easy to understand. Let’s assume the phone is worth $700( It will probably be 2000 by the time you read this in 5 years) so you expect your bank balance to go up by 700. As you sold the iphone, the iphone inventory needs to go down by 1. If you started the day with 500 iphones, it should now show you that you have 499 iphones remaining in inventory. The iphone is sold, but it’s still in the warehouse. The warehouse team needs to be notified which Iphone to pick and pack. The shipping department then needs to ship this to the customer. As you notice your inventory going down, the production planning team needs to be notified to manufacture more iphones. Do they have all the parts to make new iphones? available, you need to buy these products from a vendor. The Purchasing department then goes through a few vendors and decides on which vendor to buy those parts from. These parts are then shipped to the team that makes the iphone. And you thought it wasn't complicated?
" Not so easy to run a huge company." The Accounts Payable department then pays these vendors. As the vendors are paid, our bank balance needs to go down. Once the phones are made and added to the warehouse, the inventory goes up. As you can see, all the departments are linked to each other. If one department is not notified to do an action, then the entire process fails. An ERP software keeps all these different departments or modules in sync. What would happen without an ERP software like SAP?Short answer- it would be a disaster, long answer, read below. One department doesn’t have the real-time information from the other department. Lets look at the same example. first issue-Customers bought many iphones, but our bank balance didn’t go up immediately. We could be using software A for sales and Software B for our banking info. Software A has to talk to Software B and pass on info about the sale. Since this didn’t happen immediately, our bank balance didn’t go up and was incorrect. parts in bulk to get a discount, but since our bank balance wasn’t updated, they didn’t know the true bank balance, so they ended up buying a lesser quantity at a higher price. second issue-Our inventory didn’t go down with these sales and we were out of iphones, but we continued selling them on our website and we only found out that we were out of stock when the warehouse team tried to find the iphones to ship but didn’t find any. We now have to cancel the customers orders and refund their money. we could have issued a message on our website that we are out of stock and also notified our production planning team to manufacture more iphones. Third issue- We then bought many parts to make 1000's of iphones to meet the demand. We didn't get enough time to go through a few vendors, so we paid a high price for these parts. As you can see, SAP helps companies run better by giving a business access to real time information. Do you understand what SAP does now? And what is ERP? 1- You need to pay your company's cell phone bill. The vendor e.g. ATT sends you an invoice and you need to enter it in your system. You need to enter information like the date of the invoice, the amount, the vendor number. You enter all this information. This captures your accounts payable information. If you want to know how much you owe ATT, you can run a report against this vendor and find out very easily. This top section gives you the accounts payable section. It just tells you the vendor information, but what if you wanted to know your total cell phone bills? You might be using 10 different vendors and you need to provide these reports to the shareholders. This information is captured in a G/L account. There will be different General Ledger accounts setup e.g. rent, electricity, cell phone bills etc. Whenever you create an invoice against a vendor, you need to enter an offset to the G/L accounts. One side is a credit and the other side is a debit and the sum of the two should be 0. The amount you paid invoiced to a vendor and the cell phones account is in sync now, both are 100. SAP won’t let you post if one is 100 and the other is 90. The debits have to equal to the credits. If you are using a software that only does AP another one that does G/L, then there is a possibility that you enter 90 in one place and 100 in another. This becomes a reconciliation nightmare later on. You might have paid the vendors 1 million dollars, but when you sum your Electricity, salaries, rent and cell phone G/L account, it adds up to 900,000. It takes a lot of time to figure out the where the difference of $100,00 is. This is where SAP makes life easier for a company. The various departments are in sync. If you paid a vendor a million dollars, you will find the exact same amount in your General Ledger. What do SAP consultants do? Ok, so now that you have some idea about what is SAP. Let’s understand what SAP consultants do and how much do SAP consultants make? I get asked this question a lot. Hey what exactly do you do? Oh so you are a coder? I am sure you get asked this question a lot as well. Let’s break down different areas of SAP. As a SAP functional person, your job will be to setup the system for the end users to user. You will be ‘configuring’ the system. This means that you will talk to your business and get the requirement from them on what has to be done in SAP. 1-Finance and Accounting(FICO)- This deals with things like managing the assets of a company, paying vendors, receiving money from customers, creating reports for internal purposes etc. 2. Materials Management- Purchasing goods from vendors, managing materials in the system etc. is done in this module. 3- Sales and Distribution- Deals with creating sales order, setting up different ways to price a product, creating promos, shipping these products to the customer etc. Generally, you will be in charge of one area. Let’s take a look at an example of what you will be doing in your job. E.g. you work for Apple and your boss says that they need 3 legal entities setup in the system. You will then setup these companies within sap by configuring them. No coding is required, you are going to make entries in SAP transactions that are pre-built for this purpose. And then find the area where you need to create the company code. You will then enter an identifier for the different company codes and enter a description next to it and save. That’s it! You have configured 3 company codes in the system. This is just one step. There are many other steps that you will need to do before your end users can start using the sytem for day to day activities. Refer to the entire FICO configuration steps here. If your end users get any errors while performing any of the functions. They will create a ticket and ask you to solve the issue. Eg..Your company purchased some parts and need to enter the invoice in the system. 2- The date when this product was purchased. And they get an error. You will need to figure out what this error means and fix the issue and the end user can continue with their job. Read more about other functional modules of SAP with the below links. The end users perform day to day activities in the system. E.g. if you are working in the purchasing department, you would purchase everything through SAP. There will be follow up actions that you will need to do through another sap screen. These sap screens are known as transaction codes. In order to create a purchase order. If you want to perform another function, e.g. receive these goods, you would type another transaction code. You don’t need to maintain these codes as you can Always find them in the menu path or save them in your favorites. If there are any issues while you are performing any of these functions, you need to create a ticket and SAP functional team will look at the issue and work with you and resolve it. Read this on how to be a great SAP Consultant. SAP technical person (ABAP)- SAP is created on a programming language ABAP. When you go to any screen and perform something. But if you click on the three dots and click on developer tools, you will see the code that is running in the background. The ABAP person known as the abbaper writes the code for the SAP software.If the users want a new report, something custom, then the Abapper creates it. 4-The Basis team deals with things like system memory, system performance etc. Do you have any questions about what is SAP or how to get started in SAP?